With the growth of international payment platforms like PayPal, Stripe and Skrill, the barriers to e-commerce are crumbling, giving life to new businesses, opening up new revenue streams for established players, facilitating economic trade, and driving technology advancements worldwide. However, Sri Lankans are still faced with the dilemma of accepting international payments. There have been several discussions amongst the financial regulators to evaluate the loss of opportunity due to the lack of availability of international payment platforms in Sri Lanka. Although there are trusted services such as PayPal for online transactions, as we all know, it does not allow us to direct the money towards our Sri Lankan bank accounts. This is why many of them were asking the government to bring PayPal to Sri Lanka for years. Although several efforts were made by the Central Bank in reaching PayPal’s Singapore regional office, PayPal argued that they weren’t interested in entering the Sri Lankan market because it was too small. This becomes a major issue for freelancers and SMEs in Sri Lanka. For most of the freelancers, with no business registration or a business bank account to directly receive money, the alternate option is to provide the SWIFT code of the bank account and receive the money directly to their account. However, this option takes approximately 3-10 working days. The disadvantage is that the freelancers are forced to deliver the work without getting the payment instantly. Similarly, the client is also not happy if the freelancer refuses to deliver the work without receiving the payment on time, since the money is in transit. So the need of the hour was real time settlements. When analysing the context, the issue faced by local e-commerce companies, start-ups and skilled freelance workers was that, they needed the ability to move money. In 2017, Cheryl Edison delivering the opening keynote at Disrupt Asia argued that we need a payment gateway that empowers entrepreneurs to move money at any time and at any place. This is where she introduced the #letmegetpaid campaign with the goal of investing money into implementing a payment gateway for Sri Lanka. This challenge gave rise to a number of local start-ups in terms of solving the problem. One such company that took the initiative was PayHere, founded by Dhanika Perera. Originally launched in 2016, PayHere is a locally built online payment gateway. Dhanika saw that businesses had trouble accepting online payments. Unlike the options offered by the banks, there was no costly set-up or annual fees. It seemingly solved many of the problems that plagued existing online payment options. However, three short months after its launch, PayHere had to halt its operations in order to get the clearance from the regulators. Ultimately, it wasn’t until October, 2017 when PayHere partnered with Sampath Bank, that they found a solution to their problems. Following the approval of this partnership by the Central Bank of Sri Lanka, PayHere was permitted to resume operations. But it took a few additional months to ensure PayHere was 100% compliant with regulations and with Sampath Banks systems. And finally, on the 1st of March 2018, after a lengthy struggle, PayHere officially resumed operations. It became the first non-bank Internet Payment Gateway (IPG) service in Sri Lanka. Around the same time, WEBXPAY was launched, providing a variety of essential solutions – website building tools, embedded shopping carts, and an array of payment gateways. Thereafter, companies such as DirectPay and Genie, also started looking at solutions for local commerce and e-commerce IPG with Direct Debit combined. Subsequently, the other payment app providers such as UPay, IPay, OrelPay, mCash and eZ Cash, also started taking quite a lot of initiatives in terms of facilitating such transactions and to promote local commerce. With innovation and technology as the backbone, innovation in products, processes, payments, and customer service, have helped FinTechs in Sri Lanka grow significantly and become more efficient. PayHere, WEBXPAY, DirectPay and Genie are alternatives to PayPal and Stripe. While they facilitate simple way to accept payments from customers, they are definitely a viable alternative to PayPal as far as easier acceptance of payment is concerned. These FinTechs are now in operation as they have got the required licenses and the authority from the Central Bank. Moreover, entities such as Lanka Clear and the FinTech friendly banks, namely, Sampath Bank, Cargills Bank and HNB have been the frontiers, supporting such initiatives by the FinTechs. Similarly, there are also quite a few competitive solutions being offered by MasterCard. MasterCard committed to FinTech for many years, fostering partnerships with pioneers who have grown into global brands. Likewise, MasterCard has taken initiatives to support the local FinTech eco system by enabling FinTechs to ride on MasterCard innovation and to further innovate and support cross border payments. By providing these tools for success, MasterCard is allowing these new companies to both promote and grow their businesses, and ultimately fuel growth in financial technology as a whole. Moreover, solutions such as MasterCard Send, easily supports peer to peer (P2P) fund transfers across countries, where freelancers don’t need to really worry about how they get paid. In addition to that, Simplify Commerce by MasterCard is another such platform that is aimed at making it easier for businesses to accept electronic payments, regardless of a payment brand, in Sri Lanka. However, one problem at hand is that the Sri Lankan Internet Payment Gateways (IPG) still doesn’t have credibility since their brand is not established. It is definitely not due to the lack of technology but purely due to the poor brand presence. Now the question is, whether we still need PayPal, Stripe, Skrill and other such international players to actually come to Sri Lanka or will the Sri Lankan start-ups alone will cater the market demand. There is more than enough potential and resources to build better IPGs in Sri Lanka and there certainly is enough talent available. While digital banking and technology evolves to encompass payments, the needs and wants of consumers are also evolving (though at different pace and with different preferences, depending on the country or region). Merchants and payment providers will rise to the occasion to meet these challenges and gain a stronger global foothold. Country-governments will also play their role in welcoming cross-border ecommerce and encouraging digital payment innovation. The next few years will certainly be exciting for those of us in the FinTech, mobile and e-commerce arenas, as we work together to deliver a truly borderless commerce experience regardless of where the consumer may be. As the reader, you can express your views on this article so that we could probably have a forum with the local FinTechs, Banks, The Ministry of Digital Infrastructure and The Central Bank with the intention to see what else could be done in order to support Sri Lankan freelancer, start-ups and SMEs. 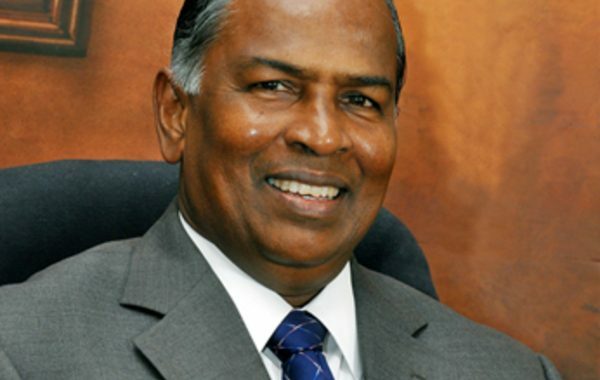 Founder Chairman of Pelwatte Dairy Industries Ariyaseela Wickramanayake dismissed the dairy import statistics of Sri Lanka, claiming that the numbers have been “grossly exaggerated”. As the debate on the merits of the Singapore FTA rages on, China’s Ambassador Cheng Xueyuan has warned that Sri Lanka could become an isolated nation if it does not pursue Trade liberalization.